Pittsburgh PA: Looking south toward the Pennsylvania Railroad's Union Station - the Strip District of Pittsburgh 1930. 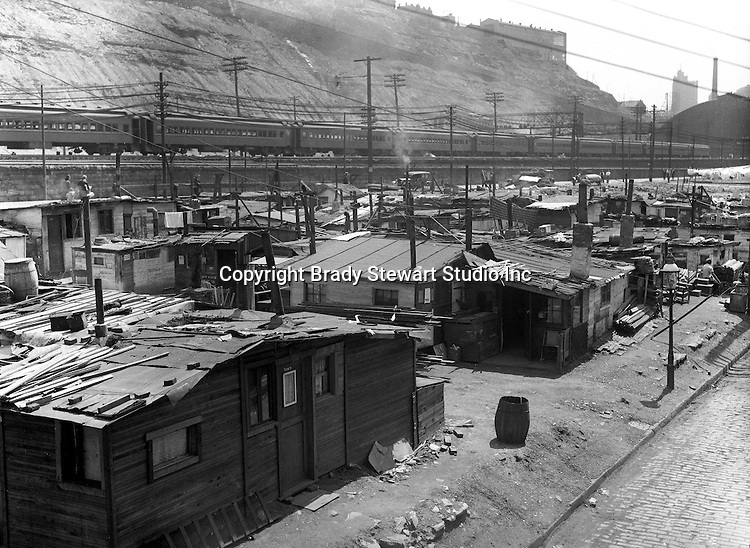 During the depression, the area from the PA RR Station to the 17th street bridge was called Shantytown. Father Cox, a local priest, helped the residents through food kitchens and highlighting their plight. Brady Stewart photographed the area for the City of Pittsburgh.